Drugmaker AbbVie is facing a putative class-action lawsuit over its array of patents shielding the blockbuster drug Humira from U.S. competition until 2023. The complaint, filed Monday in a U.S. District Court in Illinois, alleged the company has "abused the patent system." Seven additional manufacturers are co-defendants in the case because of their patent settlements with AbbVie that delayed competitive products from entering the market. The plaintiff is Local 1500 of the United Food and Commercial Workers, a major union representing grocery store workers in New York state. Its suit comes less than a month after AbbVie CEO Richard Gonzalez met a barrage of intense criticism from lawmakers on the Senate Finance Committee for the company's use of patents and as a growing number of lawmakers are calling for scrutiny into so-called "patent thickets" that delay competitive products from hitting the market. "AbbVie has erected significant barriers to entry to block biosimilar competition," the complaint said. "Specifically, AbbVie has created and employed an exclusionary 'patent thicket' —an unlawful scheme whereby it secured over 100 patents designed solely to insulate Humira from any biosimilar competition in the U.S. for years to come." AbbVie holds about 136 patents for Humira and the first biosimilar alternative isn't due to hit the U.S. market until 2023, 20 years after the drug was first introduced. The anti-inflammatory Humira is the top-selling drug in the world, earning more than $130 billion since it entered the market in 2003. 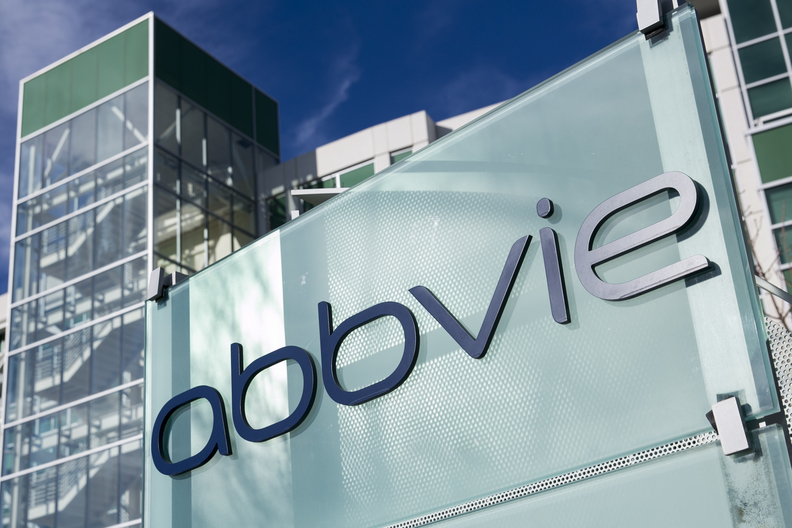 "AbbVie's scheme to keep out biosimilar competition has cost the U.S. healthcare system billions of dollars," the complaint alleged. "For example, Wells Fargo analyst David Maris calculated that AbbVie's 9.7% price hike on Humira in 2018 cost the country's healthcare system approximately $1.2 billion." Amgen, Bioepsis, Mylan and Pfizer all settled Humira patent disputes with AbbVie. The complaint alleged that these settlements were "illegal market division agreements." Humira has competition in Europe, and the complaint said that the lower prices there have been "subsidized" by the higher U.S. cost. According to the suit, annual costs for patients using the drug rose from $19,000 in 2012 to more than $38,000 with rebates in 2018 and about $50,000 before rebates. AbbVie did not respond to a request for comment. Pfizer said in a statement that the company believes "the lawsuit is without merit." "Pfizer stands by the lawfulness of its patent settlement with AbbVie, which will allow Pfizer's lower cost alternative adalimumab biosimilar to enter well before expiration of the patents AbbVie asserted against Pfizer, thereby offering patients expanded access sooner," Pfizer said. The lawsuit's focus on "patent thickets" comes as the phrase makes the pharmaceutical industry increasingly nervous. An expert in biopharmaceutical intellectual property told Modern Healthcare he is concerned that lawmakers are using the term too loosely without broader context for how multiple patents protect a company's significant changes to a drug. But scrutiny on these multiple patents is increasing—in reference to insulin products as well as outlier examples like Humira. Last month, after a testy exchange with Gonzalez over Humira's use of patents, Sen. John Cornyn (R-Texas) called for the Senate Judiciary Committee to look into the overall drug patent system as part of Congress' legislating in the forthcoming package on drug pricing.